Who is your pastor’s pastor? In some denominations, this can be a very tricky question. Congregational and non-denominational churches cannot answer the question. The pastor is the pastor’s pastor. As a pastor, I can tell you, I am not a very good pastor for myself. As discussed before, Elders appointed to a local church are not members of a local church. Elders are members of the annual conference. As conferences are currently structured, my District Superintendent (or DS) is my pastor. This is not a minor thing. I need a pastor who can support, encourage, and hold me accountable to the vows I have made. DSs have many other responsibilities beyond being the pastor’s pastor. They are appointed by the Bishop to be extensions of the Bishop’s office. DSs represent the bishop at the District level as well as work with the bishop in what is called the Cabinet. The Cabinet consists of all the DSs plus a few other conference level personal. They function to advise the bishop on all clergy appointments. There is a liturgical calendar in the church (Advent, Christmas, Epiphany, Lent, Easter, Pentecost, etc.) as well as an administrative one. 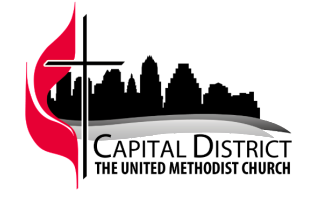 In the UMC, our administrative calendar revolves around Annual conference. The fall is Charge Conference season and the spring is appointment season. DSs supervise local church charge conferences (which are the annual administrative event of the local church). They also represent the district in the cabinet during the appointment season. (Here is a video of our current bishop, Robert Schnase, explaining the appointment process). When there is an opening, the DS explains what is going on in that church. As well, the other DSs proffer candidates from the district who have gifts that may be applicable to that location. When there is a pastoral move and a new pastor is coming in, the DS comes with the newly appointed pastor to meet with the Leadership Team to introduce the pastor to the church. When disciplinary matters come up, the DS is also a big piece of that system. The DS serves for 6 year terms before returning to local ministry or serving in another capacity. For me, though, the DS is mostly my pastor. Someone I can turn to in times of need, of doubt, someone who can remind me why I am here.